Dr. Hunt is a native of Bristol, TN. He completed his undergraduate studies in biology at East Tennessee State University in Johnson City. Dr. Hunt received his Doctorate in Optometry from the Inter American University of Puerto Rico School of Optometry. Dr. Hunt is an avid Tennessee Volunteer football fan. It should not be a surprise that he considers the ‘ol “Rocky Top” of Northeast Tennessee to be “Home Sweet Home”. Anyone from the area will quickly recognize Dr. Hunt as one of their own. Dr. Hunt’s character, integrity, set of values, work ethic and devotion to his patients’ well-being are easy to see and set him apart. Patients are immediately drawn to Dr. Hunt’s down-to-earth, easily approachable manner. During his time in the Caribbean, Dr. Hunt developed a love for scuba diving and spearfishing. Working out in the gym, watching football, hiking the area and traveling are other hobbies that Dr. Hunt loves to enjoy. Dr. Hunt has been well educated in all areas of Optometry. Dr. Hunt has a special interest in glaucoma management and ocular disease. He also enjoys the challenge of difficult to fit contact lens problems. 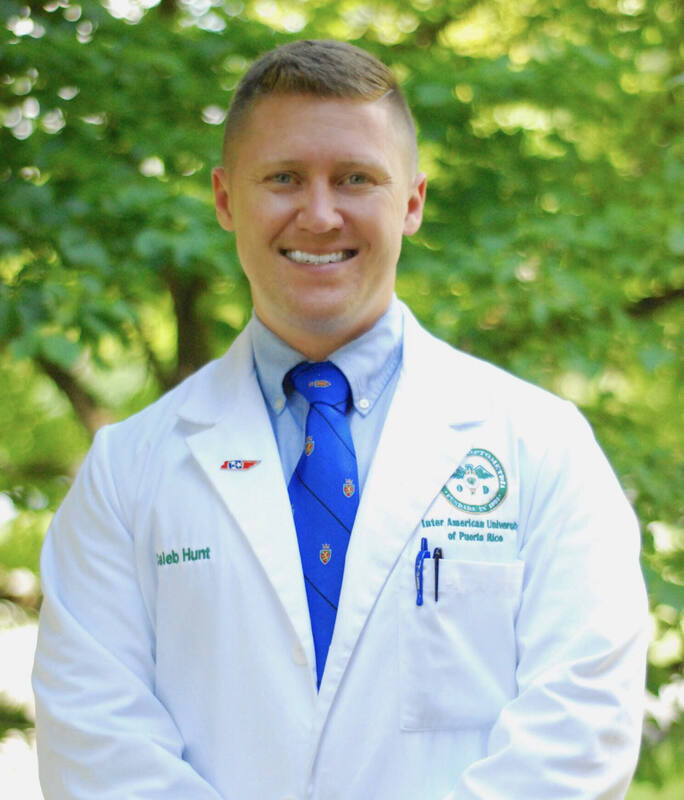 It is Dr. Hunt’s mission and passion to use his training and abilities to take care of anyone that steps into his exam room as though they are family. Dr. Hunt learned to communicate with his Spanish speaking patients while training in Puerto Rico. This unique skill is a wonderful asset to add to the I Care Vision Associates staff! Dr. Hunt welcomes all of our Spanish speaking neighbors and friends in the Tri-Cities area to call on him to be their optometric physician.